This tantra is a highly specialised tool to offset (nivaran) the inconducive influences of vastu doshas (architectural faults). It is arguably the most popular of the yantras given the decreasing relevance of the philosophy of vastu in contemporary lives. Designed with superlative complexity, the network of numbers and sacred chants on this yantra requires the scholarship of a great astrologer to decipher. 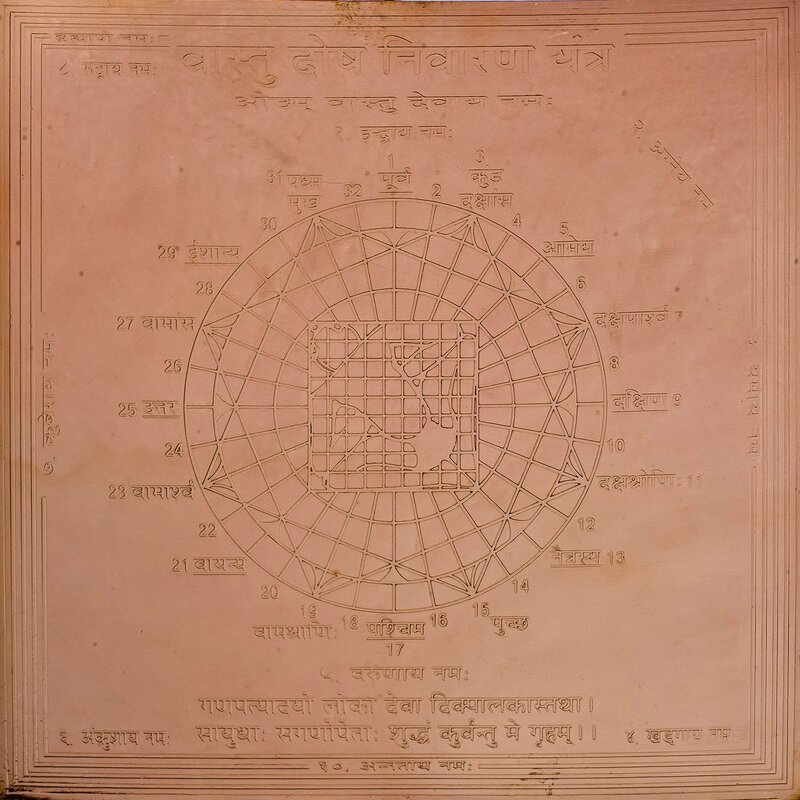 The mantra inscirbed on the very bottom of this yantra reads, "Varunaya namaha/Ganapatyadayo loka deva dikpalkasthata/Saayudhaha saganopetaha shuddham kurvantu me griham".